Chicken broth is getting more and more popular nowadays, although it’s been around since forever. It’s made from chicken bones, scraps of chicken and some flavoring with vegetables. All these are left to simmer a couple of hours and the broth is the liquid which comes out, after removing the large pieces. 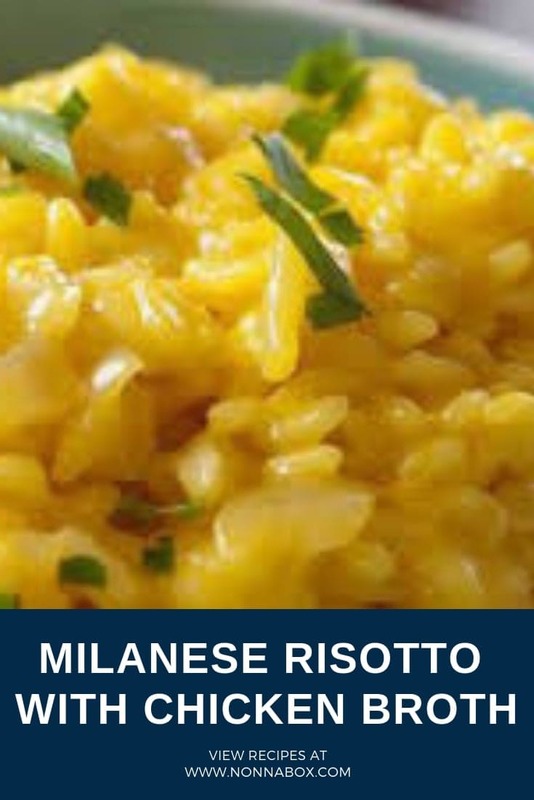 You can even enjoy it as it is, but then again, it would be a shame not to take advantage of recipes like the Milanese risotto with chicken broth. It is a healthy choice as well, as chicken broth barely has any calories. 10 ounces contain approximately 50 kcal and even less than 2 grams of fat, making it easy to add to any diet. 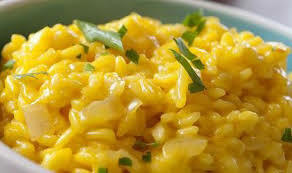 However, the reason why you would want it prepared with other dishes like the risotto is because it lacks vital nutrients that you can obtain by eating rice. This delicious recipe also contains a secret ingredient (well, not that secret, as we are mentioning it): saffron. Its benefits have been quite documented and some of them include memory retention and vitality. Put the saffron and the broth in a small bowl. Cover, then set aside. Saute the onions with 2 tablespoons of butter. Add the rice and cook for another 2 minutes. Add a ladle of broth and stir. Continue adding the broth a ladle at a time, leaving it to absorb but avoiding to dry the rice. After 15 minutes, add the saffron infusion. Continue cooking and adding the broth. Add the remaining butter and half of the Parmesan cheese. Cover and let stand for 1 minute. Serve immediately.